Oh, Kevin we hardly saw you. 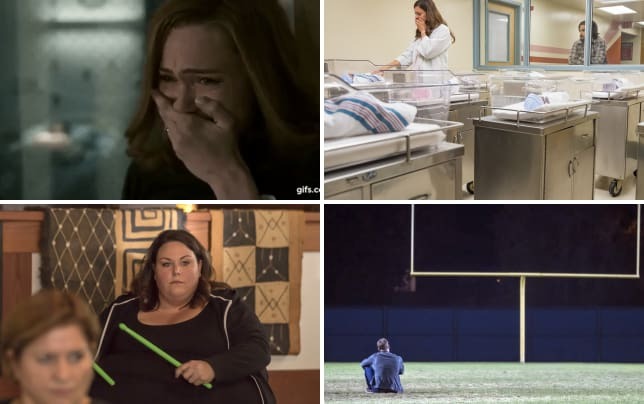 At least that's what it felt like on This Is Us Season 3 Episode 2. "A Philadelphia Story" was advertised as Kevin's big movie premiere, so it would be understandable if one were to think he would be a major focus of the episode. Instead, he was relegated to a spot in the sideshow. His storyline was once again overshadowed by Kate and Randall's drama and that makes me a little bitter. Kevin has grown so much over the last two seasons and his family should be focused on making sure his big day is all about him. Yet, once again Kate, Randall, and Rebecca are too involved in their own lives to really support Kevin. No wonder this guy needed therapy. Fortunately, Kevin is used to being treated as an afterthought and was incredibly mature throughout the entire episode. After years of being The Manny and being treated as nothing more than a piece of meat, Kevin was finally in a serious film. And he just wished his dad was there to see it because he's the only person that ever took Kevin seriously. Cue the waterworks. Papa Pearson is proud of you Kevin, we all know it! Even though I feel Kevin was disrespected by not being front and center in the episode, I'm very excited to see his relationship with Zoe grow. She wanted to take things slow, hence why she wasn't at the premiere, but after seeing how cute he was on a red carpet, Zoe is ready to go all in with this man. I'm the king of cas. Cas like casual not the king of cashmere. Although that's a lie; I am the king of cashmere. I am, and I'm not ashamed of it. Although Kevin's presence or lack thereof upset me, Randall more than made up for it. 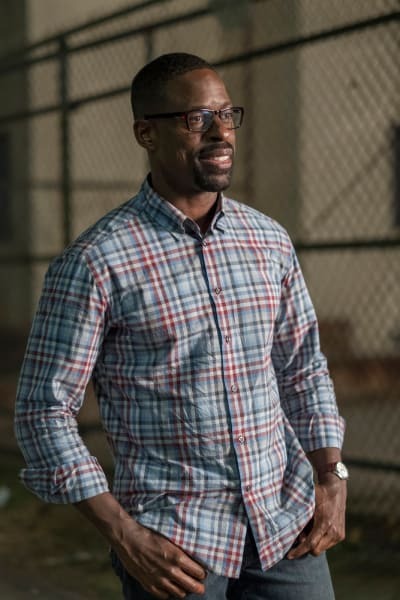 Sterling K. Brown delivered another knockout performance. Seriously, the dude has some serious range. He had me laughing at one second and then gutted me the next second. Randall has always had identity issues being a black kid raised by a white family which is why it was very relatable to him when Deja was struggling in her new and very white school. Deja: This school is pretty white, man. Randall: What? White people go to this school? Deja: They got a club for milk enthusiasts. What is that? Randall: Sounds like my kind of club. Where do I sign up? Permalink: Sounds like my kind of club. Where do I sign up? Randall takes her to a community center that William used to visit all the time. Side note, it was great seeing William again. I didn't realize how much his presence has been missed on the show until he's seen again in flashbacks like the one in "A Philadelphia Story." William's flashbacks with a woman named ChiChi were used to show how different Randall is from his birth father. William was someone who always lived in the moment and didn't let obstacles get in his way of enjoying life. Randall, on the other hand, is someone who needs to fix a problem as soon as he sees one. It's what drove him to have a mental breakdown on This Is Us Season 1. It's likely going to cause him to have another sooner rather than later. Randall is having an identity crisis. He's not like William. He's not like Jack. Who is he? This is the question Randall is going to be in search of an answer for and I for one can't wait to see the incredible performance Sterling K. Brown will once again deliver. While adult Randall is having an identity crisis, teenage Randall is stepping up and doing his best to fill his father's shoes. Rebecca and the kids are still grieving after losing Jack and Randall is the only one taking it remotely well. He got into Howard University and despite the tragic loss, things are looking good for him. However, his family is crumbling and as we've seen with adult Randall, he always feels the need to fix a problem. Randall turns down his acceptance in order to help his family but I'm left wondering if adult Randall still holds a bit of resentment towards his family because of it. In the end, this flashback just adds more fuel to the fire that is an upcoming Randall explosion. Before this explosion occurs, Randall and Kevin shared an incredibly sweet and brotherly bonding moment that I need more of. Every time these two show some love to each other, an angel gets its wings. Their adorableness is that powerful. Randall: Is this movie going to make me cry? Kevin: Uh well you cry at everything so probably. Randall: Oh it's gonna make me cry buckets, I can tell. Permalink: Oh it's gonna make me cry buckets, I can tell. Now let's talk about the woman who's been bringing everyone down lately, Kate. 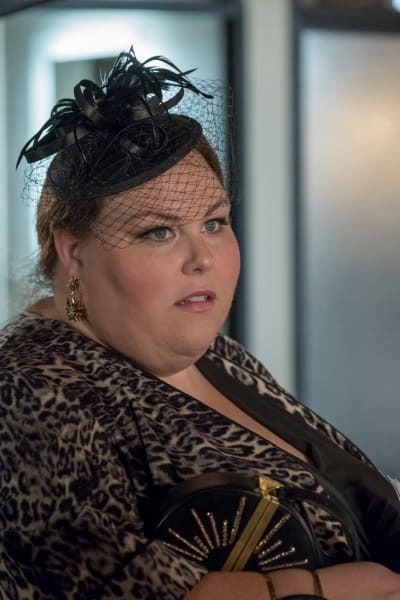 On This Is Us Season 3 Episode 1, she ruined the party Madison threw for her and this time she the hurt the feelings of pretty much all of her family members. I get it, she wants a baby. It was heartbreaking when she had a miscarriage and I want to see her and Toby get their happy little family but there is no need for her to be so hurtful all the time. Rebecca and Kate's relationship was just starting to get to a good place until Rebecca found out about Kate's IVF treatments. Sure, Rebecca can sometimes stick her foot in her mouth but this time she was just being a concerned parent. She was also reminding Kate that there are other options like adoption. Kevin: What's going on here? Miguel: Oh well Kate and Toby are getting In Vitro, and your mother knows everything there is to know about IVF because of Eloise and Plaza. Yet, Kate being Kate says she wants to have a baby that'll remind her of Jack and she's the only sibling that can do that. There was so much wrong with her saying this, which was obvious to pretty much everyone but her. First off, Rebecca adopted Randall and loves him just as much as she loves Kevin and Kate. So Kate should never have just dismissed adoption as an option. Secondly, claiming that she's the only one that can have a baby that'll be like Jack is incredibly disrespectful to her brothers, especially Randall. Biology isn't everything Kate! I adored Kate in This Is Us Season 2 but lately, she's been getting on my last nerve. Her wanting a baby has made her really selfish and hopefully Toby no longer taking his anti-depressants just to make her wish come true will be the reality check she so desperately needs. Also, where the hell was Jack and Beth in this episode? Beth stole the show in This Is Us Season 3 Episode 1 and Jack is the heart of the show. The fact that each of them only made a five-minute appearance in "A Philadelphia Story" is outrageous. Please don't ever do this to me again This Is Us! What did you think of "A Philadelphia Story?" Do you think Kevin was robbed of screentime? Is Kate becoming too selfish? Are you excited to see Randall's journey explored more? 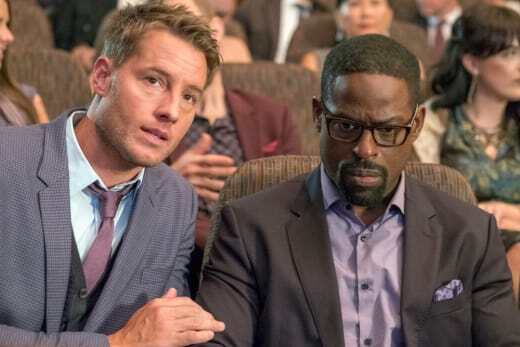 Let us know in the comments and if you need to catch up on past episodes make sure to watch This Is Us online, right here on TV Fanatic. 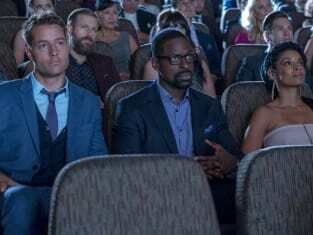 This Is Us Review: Welcome to Hollywood!